The World is Changing. Is Your Workplace Prepared? Workplace violence is an unpleasant reality in the world today. Two million Americans will be victims of some kind of workplace violence this year, with many other cases not reported. No matter your industry, no business is immune from potential threat. In fact, these kinds of attacks can happen anytime and anywhere. Is your business prepared? Your best defense against workplace violence is including expertly trained, professional security guards in your overall workplace protection program. Every business is different, but one thing remains the same: the desire to keep your most valuable assets safe and secure. Off Duty Officers can equip your business with security guards specially trained in the deterrence of workplace violence. Our guards receive ongoing training and supervision to ensure that they are always at the top of their game. Workplace violence is defined by the Occupational Safety and Health Administration (OSHA) as “any act or threat of physical violence, harassment, intimidation or other threatening disruptive behavior that occurs at the work site.” These events are complex due to the wide scope of potential assailants, victims and threats. 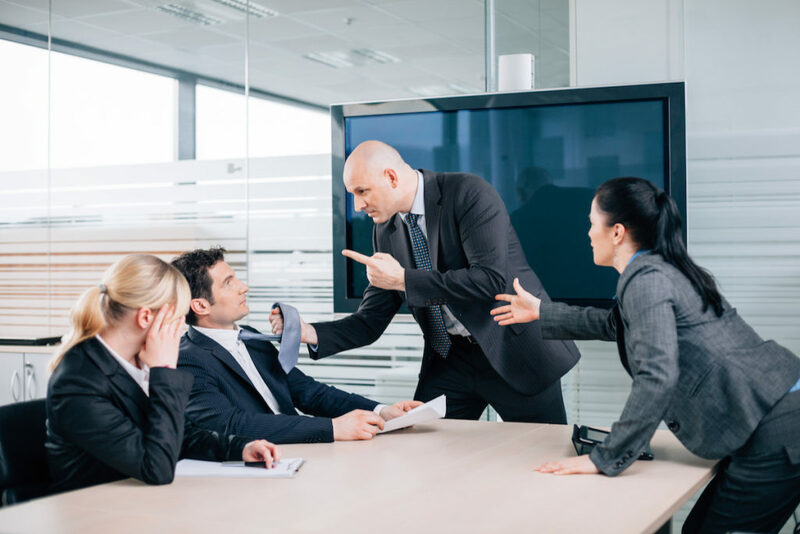 Violence in the workplace can be perpetrated by any number of people, including disgruntled employees and former employees, vendors, clients or even those with a personal relationship with an employee. While there might be an intended victim or victims to the violence, other times the assailant will just seek to cause harm and destruction. Threats can range from verbal harassment to active shooter and mass shooting events. Off Duty Officers understands the complexities of workplace violence situations. That is why we ensure our security guards are trained with the latest tools, methodologies and technology to keep your employees and business safe. We have a reputation for providing the highest level of security personnel and continually investing in training so you can feel confident that you are getting the protection you need. How Serious is the Issue of Workplace Violence? This type of threat continues to be a high-priority concern for business owners and other stakeholders. The trends for workplace violence indicate that it is a threat that is not going away. And with the prevalence of recent mass shootings occurring all across the country over the recent years, it is more critical than ever to have prevention plans in place to protect your employees and staff and other business assets. The Bureau of Labor Statistics Census of Fatal Occupational Injuries provided a current picture of workplace violence in their 2017 summary. Although statistics indicate an overall decrease in violent incidences in 2017, the threat of workplace violence is still one of the top priorities for businesses in the United States today. Violence in the workplace does not just impact the people directly involved. Workplace violence often has serious and lasting implications for company executives, other employees, current and potential clients, the community and the business’s reputation. According to research by Lower & Associates, there are also far-reaching economic impacts at play. Although there is no foolproof way to prevent workplace violence, your company can take action to help deter these threats. Highly-skilled and trained security personnel can mean the difference between a typical workday and a tragedy. When combined with other workplace violence prevention solutions such as pre-employment screenings, company policies and trainings, security guards can act as an integral part of your company’s security program. Security guards can address workplace violence in a number of important ways. Often guards are at the frontline of your business, having direct contact with those coming in and out, such as employees, customers, vendors and visitors. They play a crucial role in identifying potential risk factors or behaviors that may lead to a workplace violence incidence. Professional security guards can act as a visible deterrent to workplace violence by discouraging a potential offender from attempting a violent act in their presence. Guards also keep security front-of-mind for your employees, customers and other visitors to your business. Their physical presence is a visual reminder to your constituents that their safety and security is a priority for your business. An increase in awareness can aid in your overall security efforts. Protect your employees and business from workplace violence threats. When you secure the services of Off Duty Officers, you can rest assured that you are getting the highest caliber of security guards available to defend your most valuable assets. Impeccably trained, our workplace violence security guards have extensive experience in law enforcement and military operations. We have worked with businesses across all industries to provide the integrated security solutions they need to stay safe and secure. Our guards can be deployed nationwide for short or long term assignments. If you are ready to defend your business from workplace violence threats, contact the professionals at Off Duty Officers. We offer the most reliable, affordable and customized security guard services for your business. Don’t wait and contact Off Duty Officers today for your quote.